Movement Builders is a community of leaders around Australia who desire to see movements of spiritual multiplication grow around this nation and beyond. There are many good ministries but precious few real movements. Ministries that connect with the lost, win people to Jesus and build up believers are great, but true multiplying movements are even better: equipping workers, appointing and releasing multiplying leaders into the harvest field. A slow journey through the gospels to explore Jesus’ method for building a spiritual movement. This involves personal study and group retreats for peer learning and application. It can be done for academic credit through ACOM. Shift is ideal for pastors and Christian leaders. A series of three training days over three months to equip ‘everyday’ young adult Christians with practical disciplemaking skills. 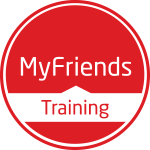 Developed in Switzerland, this process provides coaching and group accountability. Ideal for youth and young adult Christians who are following Jesus, but don’t know how to help their friends and family start a relationship with Him. 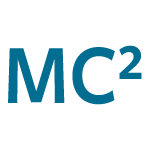 MC² (Multiplying Faith-Communities and Churches) is a simple and transferable training process that can be used to equip people in the essential principles and steps of launching and multiplying faith-communities resulting in church movements. Ideal for Christians who are ready to lead a multiplying faith community.